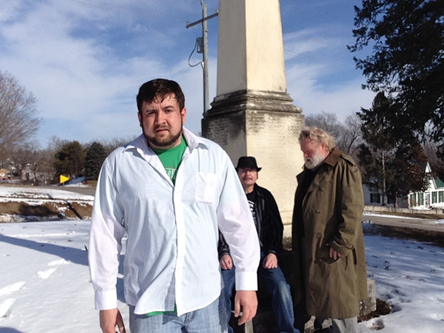 East of Omaha is a rock and blues cover band storming Southeast Iowa. The group is comprised of keyboards, guitar, bass, drums and soprano sax. The trio has a way of doubling up on instruments and sounding like a five piece while retaining that three piece feel. East of Omaha is a well known, and constantly growing musical entity which has had the unique opportunity to open for such stars as Johhny Winter and Pat Travers at The Washington and The Capitol Theatre in Burlington, Iowa. East of Omaha stands out as one of Southern Iowa's greatest cover bands.